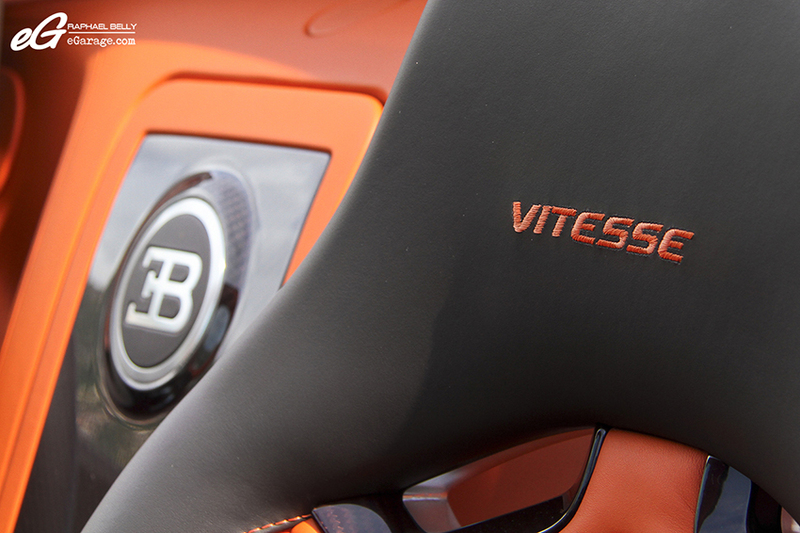 Displayed at 2013 Geneva Motorshow, our Vitesse is number #026. 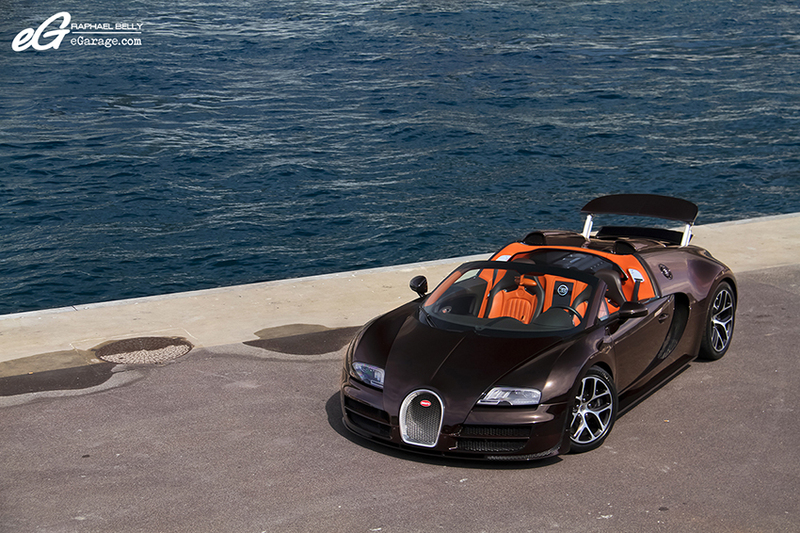 The body color is Bronze Carbon and Finch Fire. 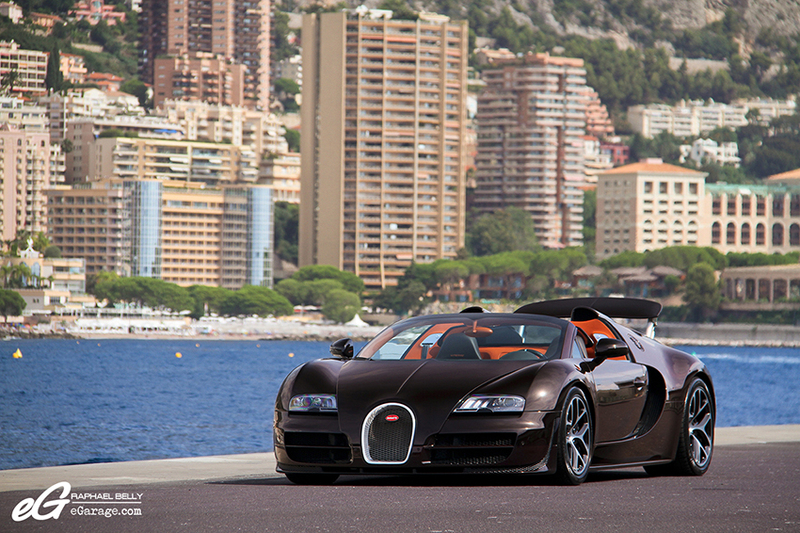 It is a striking color that must be seen in full sunlight because the car looks black when it’s dark whereas the brown carbon pops out dramatically in the sun. 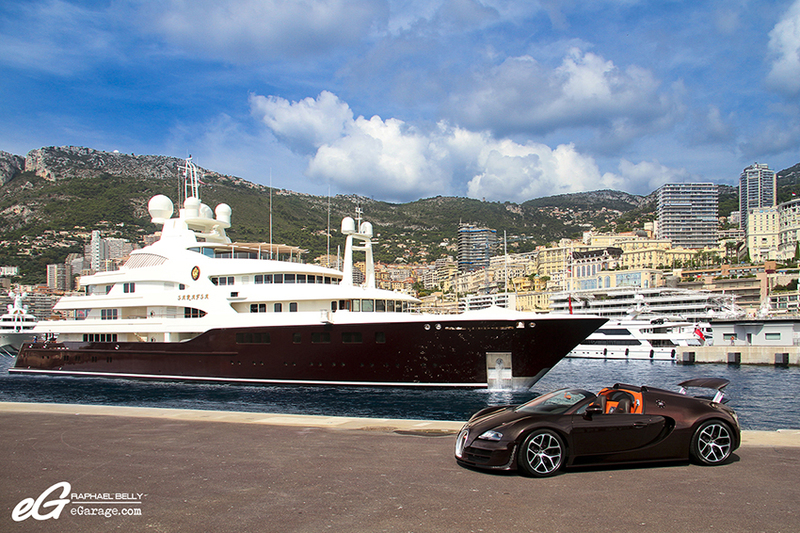 I’ve decided to put the car on the main dike of the Monaco Port Hercule because this gives a spectacular view on Monaco’s buildings, yachts, and the sea. The yacht – Sarafsa -(82m – 61st world’s largest yacht) was leaving the Port when we came here with the car. 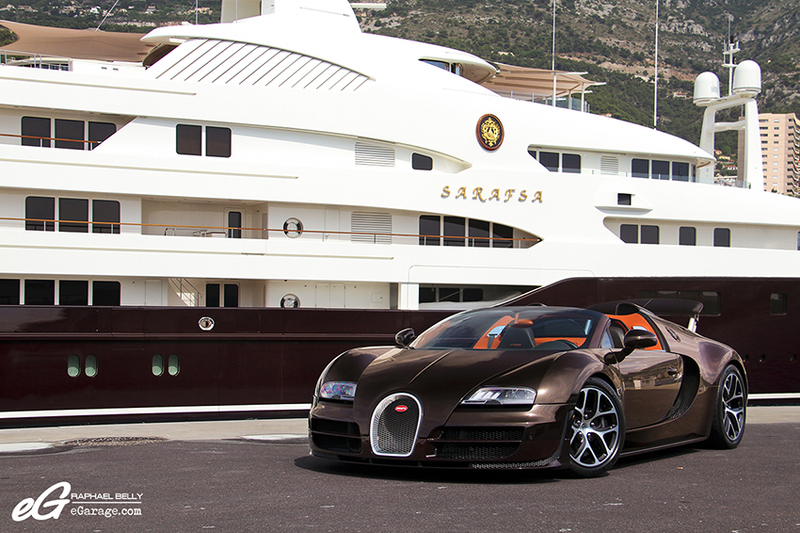 It was a nice opportunity to get the car and the yacht together, especially because Sarafsa has a brown hull, matching nicely with our Vitesse. It pushes so hard that your brain can’t follow what’s going on. The acceleration is crazy, and seems without limits : it doesn’t stop pushing from 0 to 434kmh ! And as the acceleration glues you to your very comfortable seat, the braking also smashes your teeth into the dashboard. It’s hard to describe but it’s a mix of a plane’s take off, a roller-coaster ride, and a parachute jump. All of this with the best finishing touches you can have in the automotive world. As for the W16 behind you, even if doesn’t have the singing voice of a Ferrari or Lamborghini V12, it gives you plenty of “PSSSSHHHHHTTT” courtesy of the four turbochargers. 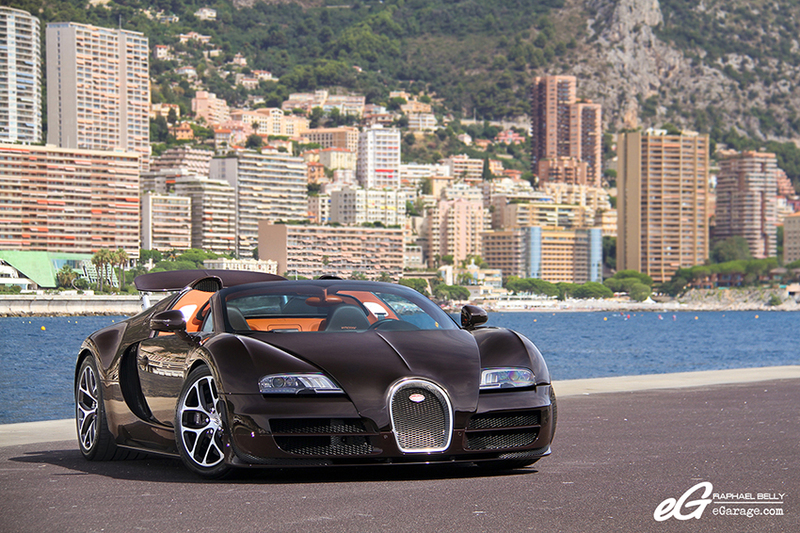 For its unlimited power, its technological masterpiece of an engine, its unrivaled fit and finish, and its ease to drive, the Bugatti Veyron worth its tittle of Queen of the Supercars.